Written from an irenic, evangelical perspective, this Old Testament survey is designed to unpack what the biblical authors most intended to communicate in the Scripture that Jesus read. As the corresponding volume to the previously published What the New Testament Authors Really Cared About (Kregel Academic, 2008), it is well-suited for use in a college, seminary, or church context. Students of the Bible will find this full-color textbook accessible and engaging. 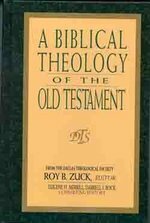 A Biblical Theology of the Old Testament gives fresh insight and understanding to this theological discipline. Scholars from Dallas Theological Seminary combine to create this important volume edited by Roy B. Zuck. Each contributor looks at divine revelation as it appears chronologically in the canon, allowing you to witness God's truth unfold through the centuries. 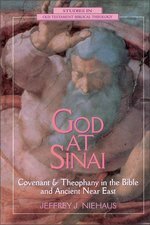 Revised, updated, and enlarged, this edition of a standard survey clearly sets forth and analyzes the major trends in contemporary Old Testament scholarship, concluding with seven basic proposals for doing Old Testament theology. In this revision Hasel has incorporated significant scholarship since 1982; his bibliography of Old Testament theology, with nearly 950 entries, is the most comprehensive published to date.